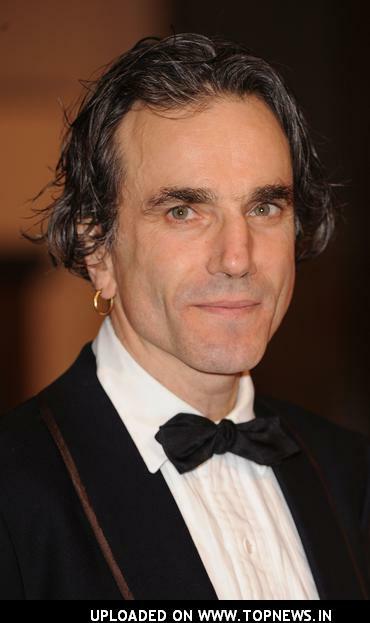 Amazing article written by Daniel Day-Lewis on the war crimes committed by the Israeli apartheid state via its occupation forces. This is a state of apartheid. It’s taken me less than a week to lose impartiality. In doing so, I may as well be throwing stones at tanks. In the Gaza Strip the Israeli army reacts to stone-throwing with bullets. It responds to the suicide bombs and attacks of Palestinian militants by bulldozing houses and olive groves in the search for the perpetrators, to punish their families, and to set up buffer zones to protect Israeli settlements. It bars access to villages, and multiplies checkpoints, cutting Gaza’s population off from the outside world. MSF’s psychologists are trying to help Palestinian families cope with the stress of living within these confines; visiting them, treating severe trauma and listening to their stories. Their visits are the only sign sometimes that they have not been abandoned. Israel’s tanks and armour-plated bulldozers can come with no warning, often at night. The noise alone, to a people who have been forced to suffer these violations year after year, is enough to freeze the soul. Israeli snipers position themselves on rooftops. Householders are ordered to leave; they haven’t even the time to collect pots and pans, papers and clothes before the bulldozers crush the unprotected buildings like dinosaurs trampling on eggs — sometimes first mashing one into another, then covering the remains with a scoop of earth. Those caught in the incursion zone will be fired on. Even those cowering inside their houses may be shot at or shelled through walls, windows and roofs. The white flag carried by humanitarian workers gives little protection; we’ll have warning shots fired at us twice before the week is out. Sometimes a family will not leave an area that is being cleared, believing if they do leave they will lose everything. It is a huge risk to remain. Sometimes a house is left standing, singled out for occupation by Israeli troops. The family is forced to remain as protection for the soldiers. Last year an average of 120 houses were demolished each month, leaving 1,207 homeless every month. In the past four years 28,483 Gazans have been forcibly evicted; over half of Gaza’s usable land, mainly comprising citrus-fruit orchards, olive groves and strawberry beds, has been destroyed. Last year, 658 Palestinians were killed in the violence in Gaza, and dozens of Israelis. This ploughing under, house by house, orchard by orchard, reduces community to wasteland, strewn and embedded with a stunted crop of broken glass and nails, books, abandoned possessions. As we weave our way towards the home of Abu Saguer and his family — one of several families we will visit today — we are treading on shattered histories and aspirations. The late Lieutenant-General Rafael Eitan, the former chief of staff of the Israel Defense Forces (IDF), once likened the Palestinian people to “drugged cockroaches scurrying in a bottle”. In 1980 he told his officers: “We have to do everything to make them so miserable they will leave.” He opposed all attempts to afford them autonomy in the occupied territories. Twenty- five years on, it seems to me that his attitude and policy have been applied with great gusto. Every movement here in any of the so-called sensitive areas, which account for a large, ever-increasing proportion of the Strip (borders, settlements, checkpoints), is surveyed and reacted to by a system of watchtowers. These sinister structures cast the shadows of malign authority across the land. On our third day, as we stood at the tattered edge of the refugee camp at Rafah, the forbidding borderland between Gaza and Egypt, bullets bit into the sand a yard and a half from where we stood. It was in this place — was it from the same watchtower? — that Iman el-Hams, a defenceless 13-year-old schoolgirl, had been shot just weeks before. She ran and tried to hide from the pitiless death that came for her. I felt her presence; the sky vibrating with the shallow, fluttering breath of her final terror. Soldier on guard: “We have identified someone on two legs 100 metres from the outpost. Soldier in lookout: "She is behind the trench, half a metre away, scared to death. The hits were right next to her, a centimetre away." Captain R's signalman: "We shot at her, yes, she is apparently hit." Captain R: "Roger, affirmative. She has just fallen. I and a few other soldiers are moving forward to confirm the kill." Soldier at lookout: "Hold her down, hold her down. There's no need to kill her." Captain R (later): "...We carried out the shooting and killed her... I confirmed the kill... [later]... Commanding officer here, anyone moving in the area, even a three-year-old kid, should be killed, over." A military inquiry decided that the captain had "not acted unethically". He still faces criminal charges. Two soldiers who swore they saw him deliberately shoot her in the head, empty his gun's entire magazine into her inert body, now say they couldn't see if he deliberately aimed or not; another is sticking to his damning testimony. That is really a great article… Extremely depressing, but that is, undeniably, what life in Gaza is like and in the other Palestinian Territories. I’ve always thought it a twisted political lie, that they’re called the Israeli ‘Defense’ Forces… Against what?